Interesting. I’m fascinated as to who he plans to give up. Logic would point at James Comey. 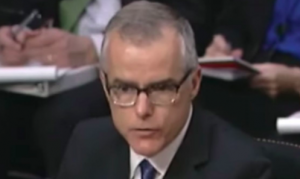 Former FBI Deputy Director Andrew McCabe is set to appear before the Senate Judiciary Committee soon, but he apparently has made a request for immunity in exchange.